Please note that WiFi Master Key is NOT a hacking tool. Hacking is illegal. 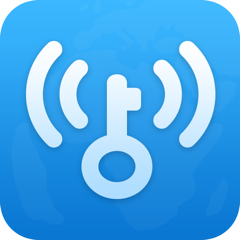 WiFi Master Key is a WiFi sharing app for users to share and connect to WiFi hotspots. The app does not show/help you find out the passwords for WiFi hotspots. It helps you connect to the shared WiFi hotspots shared by hotspot owners. To protect the privacy and security of the hotspot owners, shared passwords are encrypted, and are not shown. All available shared hotspots are listed with a "Connect" button. Simply tap on the "Connect" button to connect. More sharing means more available hotspots for the community to connect, let's keep sharing!